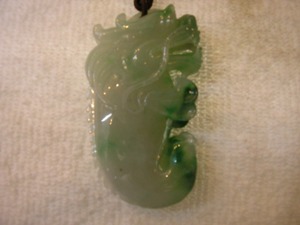 Jade is one of our specialties. Green, lavender, and gold Jade come from Burma. Every piece has its own natural coloring. Jade carvings are carved according to the artist�s vision based on the natural color formation in each piece so they represent lifelike objects. 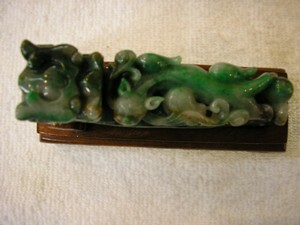 We also have a large collection of old Jade from the Ching Dynasty about 350 years ago. Every piece has guaranteed authentication. All pieces, including carvings, carry vibrations of fortune, harmony, longevity, wealth and abundance. 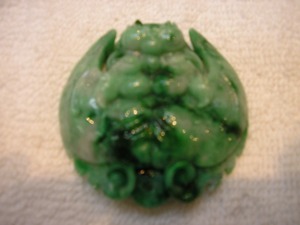 Jade pieces are excellent for feng shui placement.